Talk about interesting timing. As I'm reading about Zen.do on Richard Byrne's blog, I get an email from one of the developers of Zen.do, Jason Urton. He said he had found my blog because he is interested in technology in education and how technology can help students improve critical thinking. He is a Master's degree candidate in Computer science and developed Zen.do as a tool to help students. 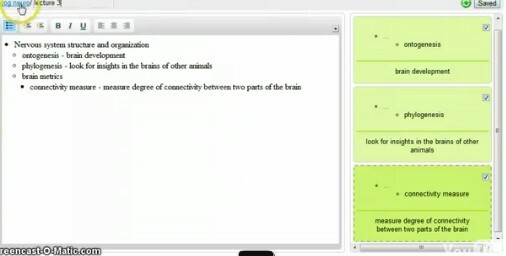 Zen.do allows students to take notes as normal, while it automatically builds a study guide of related flashcards. Students can then review the flash cards as a study tool. There is a built in algorithm to optimize the review time of the students as they use the flash cards. It is free and you can create a new sign in or sign in with your Facebook or Google Accounts. There is a video demo on the site to show you how it works and it's actually pretty easy and intuitive to use. When you open a new document to take notes, it has instructions on what to do right there. 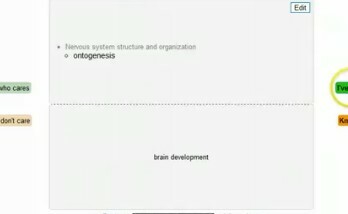 You create your notes and then save them and click "review" and the flash cards are there for you. The title of the card will be shown, and you try to remember what goes with it. Then you click "show" and it shows you the rest of the information (like flipping a flash card over) and then you click how well you "got it" on a scale of 1 -4. This is used in the algorithm so it knows if it should re-show certain cards. Creation screen. Notes on left, note cards on right. Note: Zendo means "meditation hall" in Japanese. Pretty fitting. This is a great tool for students to use for note taking and studying. The development team, and Mr. Urton specifically, would like reactions or suggestion to the site from teachers and students. They would then uses that feedback to improve the site.